Admit it: at some point in your life, deep down, you’ve wanted to be a mermaid. Sitting on a rock, lustrous hair flowing down, pearls and shells scattered about, sailors and pirates crashing their ships around you. You’ve watched Splash and The Little Mermaid, you’ve totally wanted to lie in that saltwater bath and stretch out a bright orange tail, or swim around shipwrecks with weird little fish as your friends. Maybe somewhere deep down you think you are a mermaid, or at least would make a kickass one if given the chance. 1. 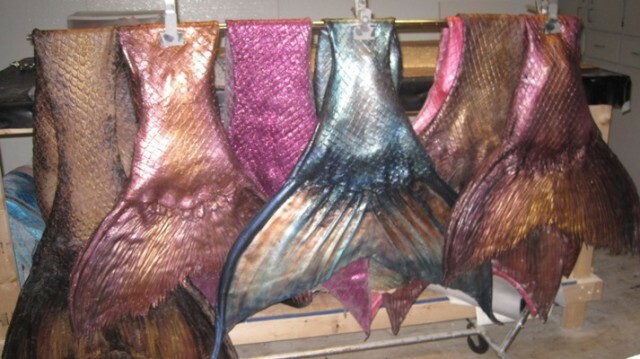 You can get your own custom mermaid tail. Did you know that there are tailmakers about who’ll design you your own, uniquely fish-like bottom half? For instance, there’s the Mertailor, a 20-year-old wunderkind in Florida who makes gorgeous silicone tails that can go for thousands of dollars (pictured below — he also makes less expensive but equally alluring latex ones). Then there’s “tail man” Thom Shouse, a special effects artist in California who’s been specializing in mermaids for 25 years — and who headed the team that created the tail for Splash. Don’t pretend you don’t know what tail I mean. 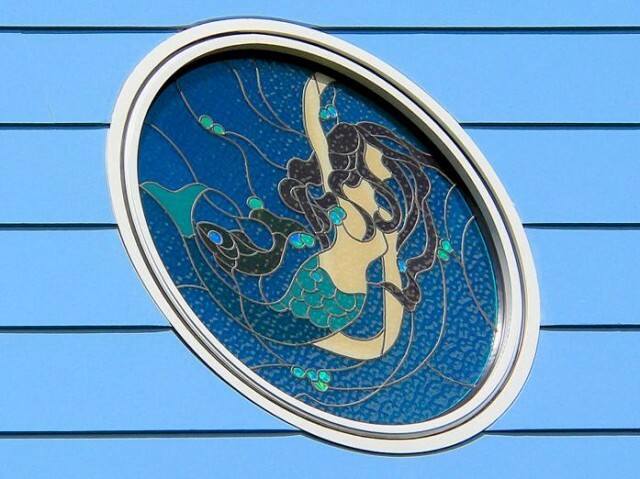 There’s also Jerilyn Winstead of Colorado’s Aquatails, which offers a variety of tails for the budding mermaid, from tail “skins” to more realistic neoprene tails. And for you sluttier mermaids, Britain’s Lady Onna will make you some latex “leg corsets.” There are plenty of other tailmakers out there, too, ready for you to send your measurements so they can help you become your new mermaid self. 3. You can go to mermaid camp to learn how to float around the water in a mermaidly, balletic fashion. 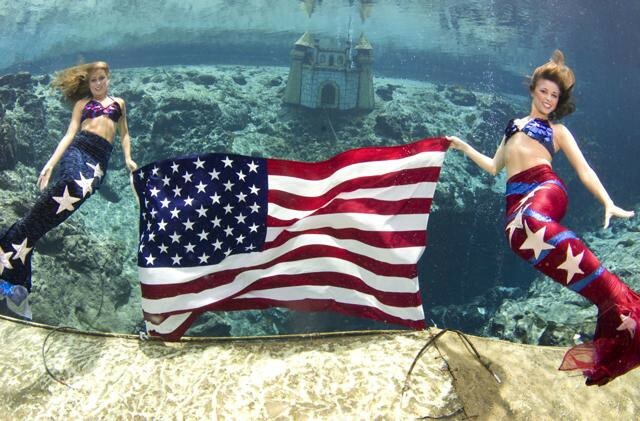 Said camp is of course at Weeki Wachee Springs, the live mermaid city just north of Tampa that’s been around since 1947 and was once so glamorous that girls flew in from all over in hopes of becoming a Weeki Wachee mermaid. Since last year, a group of “alumni” mermaids have been running two-day “Sirens of the Deep” camps through the summer. I’ll be attending this May — donning a mermaid tail, getting a makeup lesson, and plunging into the spring to learn some basic mermaid moves. (To do what real Weeki mermaids do — breathe through an airhose far below the surface of the water — you need to be scuba-certified and have weeks of training.) At the end of the weekend, I’ll be presented with a Sirens of the Deep Mermaid Camp certificate of completion. I know. I would be jealous of me, too. 4. You can go see live mermaids at the newly opened Dive Bar in Sacramento, where a 7,500-gallon mermaid tank hangs over the bar with mermaids swimming back and forth in it. As a recent Yelp reviewer said, “Oooooooo…there’s a huge fish tank above the bar with a mer-chick in it and she hot and she just bubbled me a kiss!” You can also see live mermaids at the Denver Aquarium, where the Mystic Mermaids lure people in with choreographed shows. You can even book time to swim with them yourself. And of course there are the Weeki Wachee mermaids, whom you can see at Weeki Wachee Springs and who occasionally travel to perform, at Ripley’s Aquarium of the Smokies in Gatlinburg, Tennessee, and at SEA LIFE London Aquarium, among other places. 5. And finally, and maybe most importantly, you can get mermaid hair, which is really all you need for your upper half in the way of beach cover-ups. We all know that mermaid hair is very long, so you might want to invest in some cascading hair extensions or possibly a wig. For proper mermaid locks, hairstylist Tabatha Coffey, whom I interviewed for my blog and who stars on the reality show Tabatha’s Salon Takeover, suggests you “create loose tousled waves by using a large curling iron and taking random sections of hair and waving them, then run your fingers through to create that beautiful mermaid texture.” Tabatha also points out that there are many “great lightweight shine serums and sprays available to put shine and gloss on the hair.” Tackier mermaids, however, might want to go for all-out glitter, because really there’s not much that’s subtle about a mermaid. Another idea is hair tinsel, if you’re feeling vaguely like a Christmas tree, which I for one usually am. Carolyn Turgeon wrote the novel MERMAID and runs the mermaid-themed blog I Am a Mermaid.